If you recently moved into a new home and brought along your old washing machine only to realize it suddenly isn't working properly in the new place, it can be puzzling. 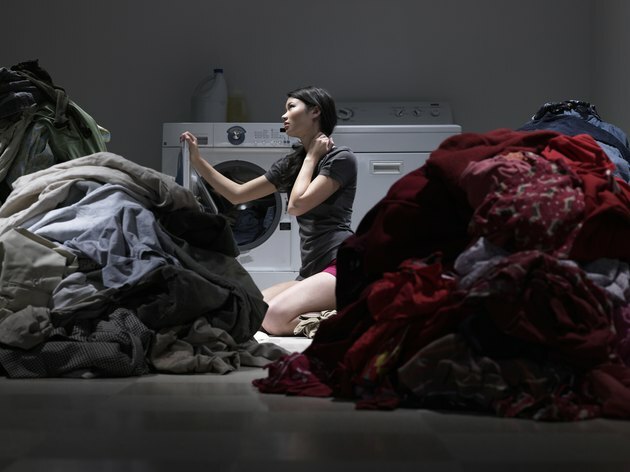 Although it is possible that your washer was stricken with a problem the last time it was used in the old house, odds are there is a simpler explanation that you will be able to figure out with a little investigation. Don't let a broken washer stop you from doing laundry. Just because the outlets in your old house worked doesn't guarantee the ones in the new house function equally as well. It is possible that there is a problem with the wall outlet where you have plugged your old machine in at the new house. If you can't get any response from your washer after plugging it in, go to the circuit breaker box and find the corresponding breaker. Ensure it is in the "on" position and has not been tripped or turned off. It is also possible that the breaker itself is bad. Once you are certain you have restored power to the outlet, try the machine again and see if it works normally. If not, you may have some wiring issues in the home or in the washer and will require the services of an electrician or appliance repair technician. During all the jostling involved in moving, loading and unloading a washing machine it is certainly possible that a part was broken. One fragile part near the frame of the washer door is the lid switch. If this switch is broken, the washer will not turn on at all. This switch is designed to shut off the machine in the even that someone opens the lid. If the switch is damaged, it may make the machine think the door is open all the time and will not allow the washer to come on. When you ran your washing machine back at the old place it was a smooth operation with only a quiet, mild shimmy during the spin cycle. But here in the new place, the machine vibrates and shakes violently and makes a loud banging noise when it goes into the spin cycle. This indicates that the machine is off balance. After moving a washer, you have ensure it is level on the new floor. If it is not, adjust the legs under the washer and make the machine sit level. It should not rock back and forth at all and should remain stationary during the entire wash. If your washing machine's warm water is too cool or too hot, you probably have the hot water heater set to a higher or lower temperature at the new house than you did at the old one. You may need to adjust the temperature on the water heater to get the water temperatures where you want them for doing laundry. If the climate you are moving to is very cold or very hot, it can also affect the water temperature.